REDSTAR ink is a stationery and design studio based in San Diego, California. Founded in 2009, we have created a collection of handmade paper goods with a clean aesthetic and focus on personal organization, providing products that are simple, bold and modern. At REDSTAR ink, we believe in simple style, clean lines and modern functionality. Specializing in calendars and greeting cards, our collection of paper products includes personal planners, notebooks, gift tags and more. Our simple approach to design is met with our practical manufacturing process. We do our best to use local printers and suppliers. 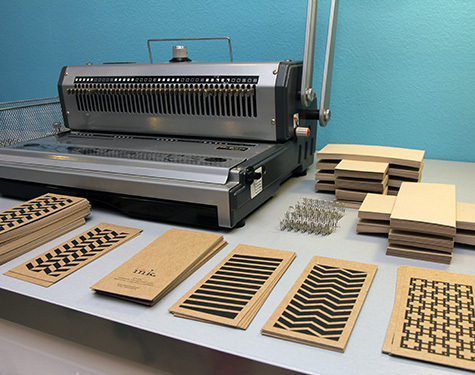 We carefully select our materials and are committed to creating eco-friendly paper goods. Our products are hand assembled and packaged at our studio in San Diego, California, using recycled materials whenever possible.